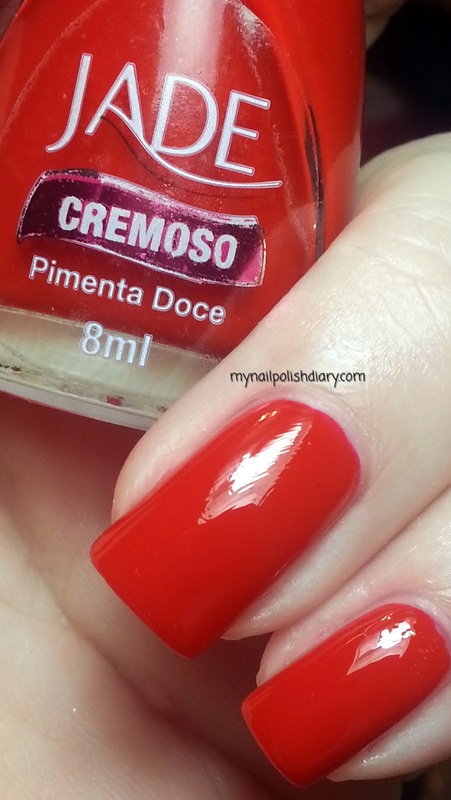 Jade Pimenta Doce is part of the amazing and gorgeous Cremoso collection release this spring (2013). Jade Pimenta Doce. Just. Wow. This is my Christmas mani. It is, by far, the most gorgeous red creme ever created in the entire universe. I am sure I have this shade of red in other brands. Positive, even. But the formula, the crelly finish and the amazing application of this color is just amazeballs. 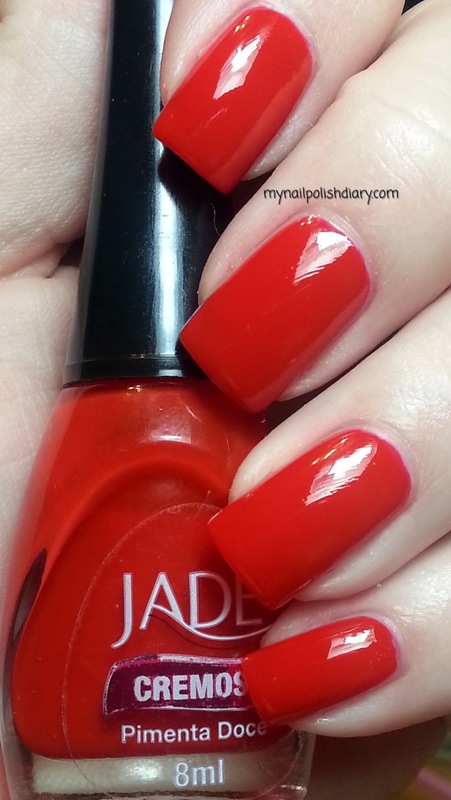 This is a polish every single woman who likes to wear red should have in their collection. So, yeah. I like this polish :D Plus the fact that it wears so well and stays shiny so long is why I picked it for my Christmas mani. I'm going to be out of town until Sunday, so I need something that will stay looking amazing for almost a week! This polish can do it.